The Catalonia Born is a 4-star property offering comfortable accommodation, modern hotel facilities and an ideal location in the heart of Barcelona. Hotel highlights include a rooftop swimming pool, a health spa and a stylish hotel bar. The hotel building was built in 19th century and all the rooms are decorated down to the last detail and offer every convenience. The hotel also has a charming central courtyard covered by a glass skylight. Catalonia Born four star hotel is in the centre of Barcelona, with all the amenities nearby. It is only 400 meters from Arc de Triomf tube station and 400 meters from Barcelona Zoo. Catalonia Princesa is a 4 stars hotel which offers rooms with a modern and practical decor. It is a opporunity for family as well as for business travelers.In the rooms, there is a mini bar, and also a telephone, television, internet. In the hotel you can appreciate a restaurant serving buffet breakfast and a bar. It is located in a very lively area, near to the Picasso Museum, the cathedral, and the harbour. 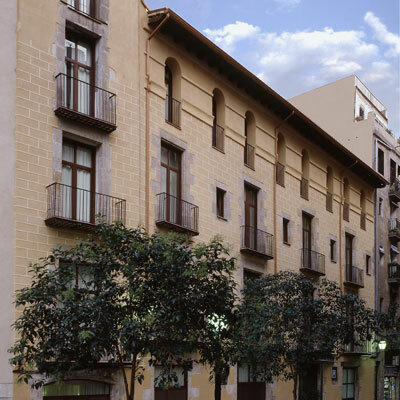 The Hotel is located in the historical and commercial centre of Barcelona. It is 400 meters far from the tube station Arc de Triomf and 450 from Santa Caterina market. It is part of the district Eixample. You can have a relaxing walk in the Park i la Llacuna del Poblenou or in the Park de l' Estacio del Nord. Have you stayed in Catalonia Born? Leave your review here!